In the long awaited follow-up to the highly praised novel She's Come Undone, Dominick Birdsey must come to terms with himself, as well as with the schizophrenic twin brother he has spent his life both protecting and resenting. When high-school teacher Caelum Quirk and his wife, Maureen, move to Littleton, Colorado, they both get jobs at Columbine High School. In April 1999, while Caelum is away, Maureen finds herself in the library at Columbine, cowering in a cabinet and expecting to be killed. Miraculously, she survives. 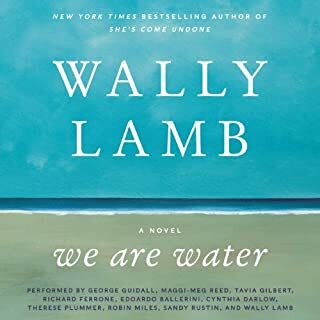 But when Caelum and Maureen flee to an illusion of safety on the Quirk family's Connecticut farm, they discover that the effects of chaos are not easily put right. 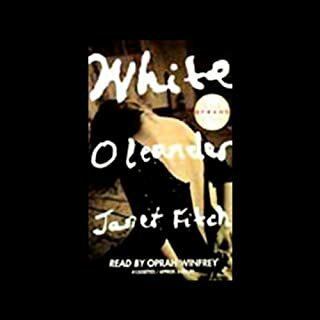 After 27 years of marriage and three children, Anna Oh - wife, mother, outsider artist - has fallen in love with Viveca, the wealthy Manhattan art dealer who orchestrated her success. They plan to wed in the Oh family’s hometown of Three Rivers in Connecticut. But the wedding provokes some very mixed reactions and opens a Pandora’s Box of toxic secrets - dark and painful truths that have festered below the surface of the Ohs' lives. Lamb writes Fine Literature/What a Book! It's 1964 and 10-year-old Felix is sure of a few things: the birds and the bees are puzzling, television is magical, and this is one Christmas he'll never forget. LBJ and Lady Bird are in the White House, Meet the Beatles is on everyone's turntable, and Felix Funicello (distant cousin of the iconic Annette!) is doing his best to navigate fifth grade - easier said than done when scary movies still give you nightmares and you bear a striking resemblance to a certain adorable cartoon boy. In this gripping first novel, a young girl, orphaned when her mother murders an ex-lover, endures the shuffle of a foster child's life. Oprah enjoyed her book club pick so much that she narrates the audiobook edition! Judd is the youngest of the four Mulvaney children - three boys and a girl - on their parents’ lush farm in upstate New York. In his childhood, Judd is swept along by the sheer energy of the Mulvaneys and their wealth of beloved family stories. But now, 30 years old, Judd looks back through his memories to tell the secrets that eventually ripped apart the fabric of his storybook family. Newlyweds Celestial and Roy are the embodiment of both the American Dream and the New South. He is a young executive, and she is an artist on the brink of an exciting career. But as they settle into the routine of their life together, they are ripped apart by circumstances neither could have imagined. Roy is arrested and sentenced to 12 years for a crime Celestial knows he didn't commit. Though fiercely independent, Celestial finds herself bereft and unmoored, taking comfort in Andre, her childhood friend, and best man at their wedding. 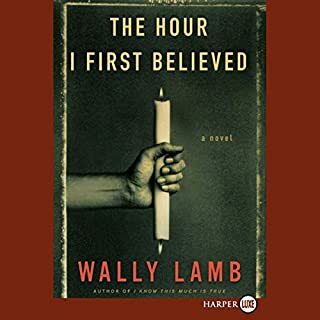 "Mine is a story of craving: an unreliable account of lusts and troubles that began, somehow, in 1956 on the day our free television was delivered...."
In this extraordinary coming-of-age odyssey, Wally Lamb invites us to hitch a wild ride on a journey of love, pain, renewal with the most heartbreakingly comical heroine to come along in years. At once a fragile girl and a hard-edged cynic, so tough to love yet so inimitably lovable, Dolores is as poignantly real as our own imperfections. She's Come Undone includes a promise: you will never forget Dolores Price. Yes, the story was good but just so sad and dysfunctional. I really liked the main characters grandmother- she was a woman who was doing the best she could and I felt for her throughout the book. I did not care for the narrators tone or the voice she used for the adolescent and adult Delores. It was a little bit distracting. Was She's Come Undone worth the listening time? Yes, I probably wouldn't re-listen to the book though. This book is just sad- from beginning to end. If you are looking for a pickmeup story- might want to listen to something else. If you could sum up She's Come Undone in three words, what would they be? "She's Come Undone" is the unlikely story of Delores Price, whose life is repeatedly marked by tragedy, abuse and illness. When she loses control of her life, Delores resists help and trusts no one. But she ultimately discovers a strength she didn't know was inside her. She is not a stereotypical gritty heroine who fights against the odds to get a better life. She is bewildered by the many twists and turns her path takes. In the hands of a less gifted writer this story could have become absurd, but it does not. Delores emerges as an unforgettable character who maneuvers her way through the obstacles she encounters, even when she is unsure where to go. She will stay with me forever. What did you like best about She's Come Undone? What did you like least? Best: The story is excellent. This author creates very believable characters. Least: Linda Stephens' performance. All of the characters have something to love and much to dislike about them. What didn’t you like about Linda Stephens’s performance? Linda's performance was not that of a professional reader. Her voice is pleasant. But her reading was awful. Periods and commas where used in exactly the same way, and in many cases are added to the reading in inappropriate places (by Linda, not by the author). It was very distracting. I almost stopped reading because of it. Then the story grabbed me and stopping was not an option. Linda has the voice, she needs training and practice. Could you see She's Come Undone being made into a movie or a TV series? Who should the stars be? Movie was a great idea. As for characters; I would have no idea how to second guess the professionals, since I rarely watch a movie and do not know who the current actors are. 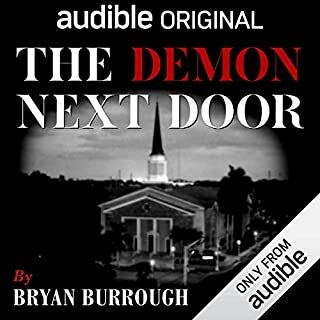 I hope there will be a remake of this audio book with a different narrator, or a trained, experienced Linda Stephens. 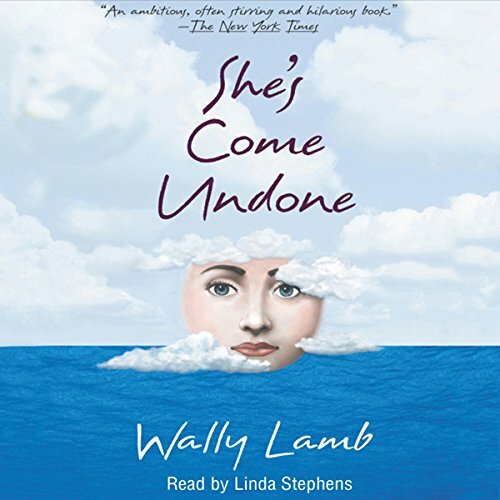 Would you consider the audio edition of She's Come Undone to be better than the print version? I bought the unabridged audio version, so I didn't miss a thing from the print version, which we were reading as a book club. It was a long book, so being pressed for time, I needed to be able to be able to get through it while doing things that I wouldn't be able to do while "reading" and vice versa. What other book might you compare She's Come Undone to and why? Can't think of any other book I would compare it to. Can't tell you my favorite scene without it being a spoiler. But trust me, when you get to it, you'll know. It was the favorite scene of everyone in my book club who read the book. I absolutely wanted to listen to it all in one sitting, it was that good. But I didn't opt for the abridged version, which I could have listened to in one sitting because I didn't want to miss any of the story. I'm glad I didn't. It was a book club selection, and I wanted to be able to fully participate in the discussion.. 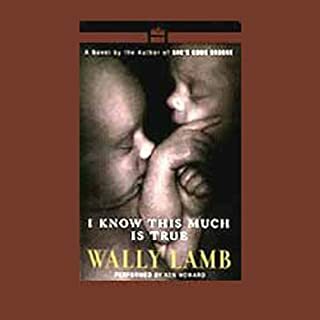 I was amazed at how well Wally Lamb is able to get into the mind and emotions of women. I'm really looking forward to reading more of his work. What was one of the most memorable moments of She's Come Undone? Too many to mention! Just overall a perfect, flawless story. The imagery, the characters, the development of a truly beautiful female narrator which was remarkably captured by a male author. Would you be willing to try another one of Linda Stephens’s performances? Think I'll pass. Not a huge fan at all. If you could take any character from She's Come Undone out to dinner, who would it be and why? Just wish that the narrator did justice to this incredible book. Nearly 200 titles into my audiobook habit, I'm still trying to figure out what makes for a good listen vs. a traditional read, especially within my favorite genres. I've grown somewhat wary of audio editions of literary novels -- they are almost always character-driven and light on plot, and therefore difficult in some cases to follow in audio. But it's still my favorite style of fiction, so I keep trying. At first, She's Come Undone was on track to disappoint me in that very way. The first few hours are pure character development, no forward momentum in the narrative at all. I could not imagine getting through another 15+ hours of that, could not imagine what could possibly fill another 15+ hours, short of tedium and repetition. But there is one quality an audiobook may possess that you cannot get in print -- an actual voice reciting the inner monologue of your protagonist. If that voice is first person and at least sometimes comic (as is the case here on both counts), a narrator that captures that voice can make the listening experience far more effective than the voice inside your head when you read in print. That's the case here, for me at least -- look at the other reviews and you will see contrary opinions on the effectiveness of Linda Stephens as narrator. Add in the decidedly mixed reviews on Goodreads provided by (presumably) a large percentage of print readers, and She's Come Undone is clearly a love-it or hate-it kind of book. There is little middle ground. I come in on the love-it (or more accurately the like it well enough) side, and that is primarily because of Linda Stephens's narration. In addition, Dolores, battling her weight issues, depression, family dysfunction, bullying, bad relationships, and some serious tragedy, is similar in many ways to someone very close to me, so I found the story highly relatable. Some of the events and symbolism (the whale) are indeed as heavy handed as the harsher critics claim, but for me, no showstoppers there, just a four-star listen rather than five-star. I don't know who ever said this book was funny. It is FAR from funny. But it's oh so good! It shows how one can go from broken and weak and fearful to indomitable. The unlikely friendships, the roller coaster ride of a life, the uncertainty and foolishness and eventual embrace of agency-- that made it worth the read. What made the experience of listening to She's Come Undone the most enjoyable? After reading (listening to) this story (forcibly Suggested by a friend) I have come to realize that I am indeed Dolores Price - born a few years later - but also Molested and traumatized on several levels. I am currently in my FAT Phase - and Im motivated - and I found as I was Cheering for Delores to allow herself happiness - I realized I TOO was denying myself happiness. The Shocking thing to me is that Wally has an amazing ability to take you there - and make it real. You see - Smell and even remember as you listen to this tale. I also appreciate that Wally was able to surprise me and every unexpected turn durring this coming of age story. The only thing I didnt like was the end - or should I say the lack of an ending. So.... can we have a part two? What about Linda Stephens’s performance did you like? Her voice has many levels and I kept thinking that toni collette was reading - but at times she sounds much older and others she seems younger??? a great story teller voice!!! Dolores Price - is my first choice - I want to get inside her head - My second would be Dante - I want to see what all the fuss was about. I like that Dolores finds happiness at the end. I read the book when it came out and remember loving it. Of course, I still feel the same after listening to it. Which character – as performed by Linda Stephens – was your favorite? This book did make me cry, especially at the end. 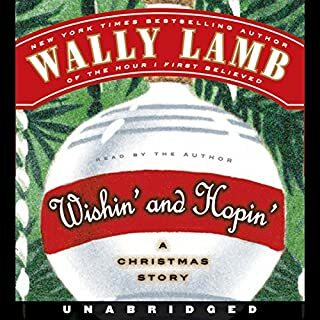 Love anything that Wally Lamb writes...he's amazing! I understand that sometimes a book needs to disturb you enough to affect you - but the pain has to be worth the gain. Although the message in the end was good, this writing was draining, and a bit like slow torture. Instead of wanting to find out what would happen next I found myself dreading the next sad/bad thing that would happen to the main character. I did see the humor at times, but the overall picture drawn was so relentlessly sad that I couldn't enjoy it when it did occur.